Few celebrations are sweeter than those centered around accomplishment through sacrifice. Simply put… Debt reduction takes sacrifice. It requires us to set aside immediate desires in favor of long-term piece of mind. It’s not easy, and we’re not robots. We run the risk of burn out, failure, tension with loved ones, embarrassment, and exclusion, but… The victory, and even the thought of victory, is just so damn sweet! Even as I write this, I can already faintly taste it. It seems so far off, but I know that it’s within reach. I know that our plan, though not easy, will allow us to feast on our sweet victory over debt. I simply cannot wait. From start to finish, the process of debt reduction is peppered with milestones. One of the ways to stay motivated is to appreciate and recognize each and every victory… No matter how large or small. In order to avoid burnout, it’s important to allow ourselves rewards for our accomplishments. This reward need not be lavish. Rather, it can be something as simple as a piece of your favorite pie (a la mode!) at the local diner, or that new video game your friends have been raving about. Regardless of how you do it, celebrating each milestone gives you that small break you need to reflect upon your accomplishment, tease yourself with a taste of success, and then turn your attention and focus once again to the task at hand… Finishing the goal through completion. Mrs. Jabs and I will most likely be paying off our Lending Club loan by the end of February. Once we do that, we’ll be left with two mortgages and two student loans. How do we plan to celebrate the milestone? We’re not sure yet… But you better believe we’ll be living it up one way or another — without spending too much, of course! As you can see… Money is rarely a prerequisite for celebration! Especially among those dead set on paying off debt. Budgeting and paying off even more debt may not sound like a celebration to some… But this just goes to show what a great feeling one gets from destroying their debt! Nickel just paid off his mortgage. How did he celebrate? And guess what? Nickel isn’t the only one who’s hit a milestone recently. “We’re celebrating, but not in your typical fashion. Frankly, we don’t have two nickels to rub together right now because we really busted it at the end, so it just so happens that we’re celebrating via social media. Between Facebook, my blog, and Twitter we’re having a great time sharing our experience and celebrating with others. While your debt milestones should be celebrated, don’t screw around… As soon as you’ve blown off some steam, get immediately back into your plan. 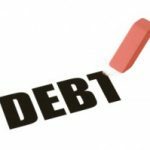 If you still have debt, you may want to redirect all available resources toward the next debt of choice. If you’ve finally achieved debt freedom, you could redirect all your newfound resources into retirement savings, college savings for your kids, or giving it away! Do whatever makes sense for you situation… Just be sure to keep your eye on the ball until you’ve met your goals. What was the most recent debt reduction (or other financial) milestone that you reached? And how did you celebrate? Celebrate by going back to work tomorrow to earn more money to pay more debts!! Ok, that isn’t very fun. I remember when I was paying off my debts, I made a list of them with their amounts and every month I would update the balance left. When I paid one off, I would celebrate by crossing it off the list. I know, pretty simple. But it felt really good! Great post! You’re right once the debt has gone, there’s still work to be done. We’re onto the mortgage now! Way to go TTolar – I love sharing in the success of others! We just paid off 2 major loans, a vacation, and next week we will add a student loan to the list! We have one student loan left to go and no more debt! We celebrated by opening a savings account to save for a house. Congrats to everyone on their successes!! I think this was a great post to do – sharing other people’s success. Makes me feel even more inspired!! lol… go for it Ronnie! Okay, I admit it, I’m spending money! I have a healthy love of nail polish, so when these credit cards are paid off I’m buying 3 new colors. Then I’ll pay off my car. Then I’ll probably get a massage. Then I’ll pay off my student loans, but that’ll take another 15 years, so who knows what I’ll want to do when I’m 45?? Nicely said – don’t screw around once you’ve got your debt paid off – keep at it and redirect the cash. Boost your savings and emergency funds if they’ve been lacking. Fix the things that need to get fixed. Start a conservative investment plan. *Then* start planning for the fun stuff again. Remember, it’s just like healthy weight loss…. you don’t want to yo-yo! Matt & Paul – Congratulations to both of you! Milestones are commonly used in heavy civil construction projects much for the same reasons. The front-end component of milestones is that it gives you a much closer, more reachable goal. Breaking down a large task saves tons of mental anguish. The back-end is just what you talk about here, a chance to celebrate! I had set a savings milestone for myself to be completed in Dec 2009. I reached it shortly after (this month) and plan to celebrate by continuing to blaze ahead! Great post Matt and I agree 100%. These small celebrations were what helped us blast our way out, one credit card done, celebrate! Car paid off, celebrate! Saved your full emergency fund, go on vacation, that’s our plan!